We are in the final rounds of writing the DPM 2012 book. We also have had another Microsoft MVP join the team of authors! More information on the book to come soon….. I would like to know when ‘The Book’ – Microsoft Data Protection Manager 2012 will become available? I look forward to it’s realisation with anticipation. Thanks for asking. It is tentatively the end of March. We are currently adding SP1 content to the book so this may or may-not delay it. 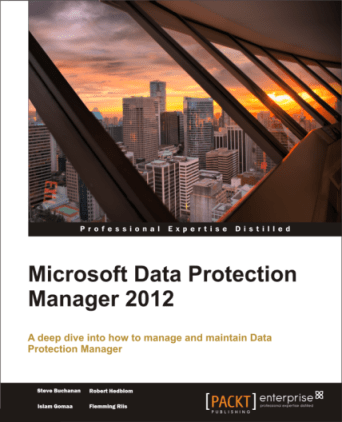 You can watch here: http://www.packtpub.com/microsoft-system-center-data-protection-manager-2012/book and here: http://www.amazon.com/dp/1849686300/?tag=packtpubli-20 for updates.